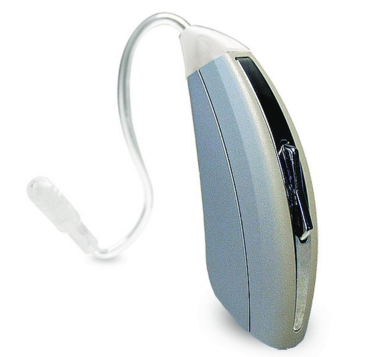 The Tweak Hearing Focus personal hearing amplifier is a behind-the-ear, over-the-counter hearing aid that helps to amplify sounds for people with some degree of hearing loss. The device uses a specialized patented technology that provides the user with four different ranges of amplification. This makes is the best bet for people with hearing loss who work in different environments with varying intensities of noise and sound. As with most other BTE hearing devices, the Tweak Focus hearing amplifier comprises two pieces — a behind-the-ear tube, which bears the battery and control buttons; and an in-the-ear receiver, which does the real work of amplifying sounds. The Tweak Hearing Focus personal amplification device has been designed by seasoned audiologists in line with the same technology employed in high-end custom hearing aids. 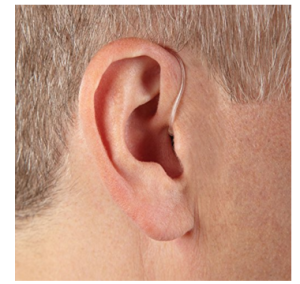 This means the device would work well for the correction of hearing loss in most people with mild to moderate hearing loss — and even some with severe hearing loss. Prescription hearing aids are usually made to perfectly suit the user’s hearing needs. But the Tweak Hearing Focus gives room for this “customization” by allowing the user to adjust the volume of the amplifier to suit their hearing needs. In addition, the user can choose from the two preset amplification programs in the device. The Tweak Hearing Focus personal amplifier comes with two different preset hearing programs for the user to choose from. One of the programs is more suitable for quiet environment and focuses on amplifying voices and other sounds. The other one, which is more suitable for noisy environments, focuses on filtering out background noise, thereby allowing the user to hear only sounds that matter to them. In addition to these programs, the user can adjust the device over a range of amplification levels. This allows each user to perfectly customer the device to suit their hearing need. What makes the Tweak Hearing Focus amplifier particularly amazing is that it contains two directional microphones. These help to reduce background noise coming from other directions when the user is trying to focus only on sounds from one direction. Many other personal hearing amplifers lack this feature, although some of them have other inherent mechanisms that serve the same purpose. Each unit of the Tweak Hearing Focus Model amplifier ships with 4 premium batteries, a left and a right 1B/ small tube with an attached sleeve tip, one large dome (10mm, vented) and a small dome (12mm, closed). The Tweak Hearing Focus Model amplifier presently has 143 customer reviews on Amazon.com. Of that total, 53 percent were 5-star ratings, and 23 percent were 4-star ratings. That means about 76 percent of buyers were satisfied with the product. Overall, the product has a rating of 4.0 out of 5 stars. Aside that the product works perfectly as described, one other thing many satisfied buyers particularly commended was the manufacturer’s exceptional customer support service. As for bad reviews, there were few ones by customers who presented different complaints about the product. Some said it didn’t work for them, while others said it didn’t work as well as they had expected. One customer complained that her own unit stopped working after just 10 months of use. The Tweak Hearing Focus Model amplifier is a great option that many people with hearing loss have found joy with — going by the several positive buyer reviews on Amazon.com. While the Tweak Focus amplifier is not perfect (no product is), the complaints about the device are few and are not general. So, in our own opinion, we deem the device highly recommended for people with hearing loss who are looking for much cheaper alternatives to prescribed hearing aids.